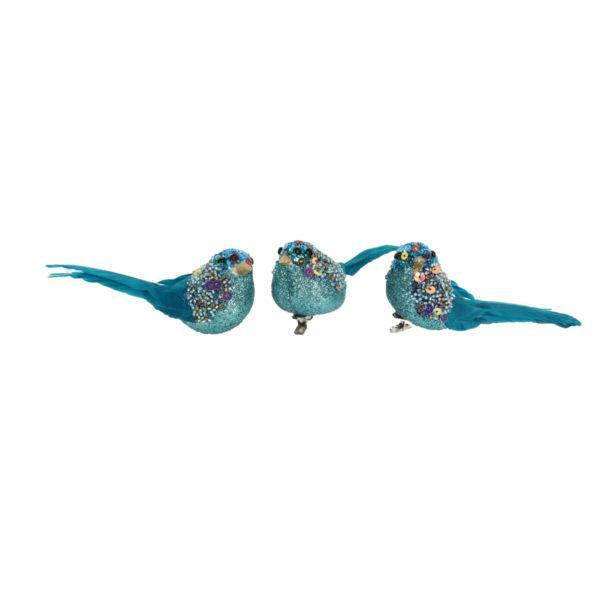 A beautiful set of 3 Turquoise Glittering birds on a clip. Beautiful set of Glitter Birds. Part of the popular Peacock range of Christmas decorations. 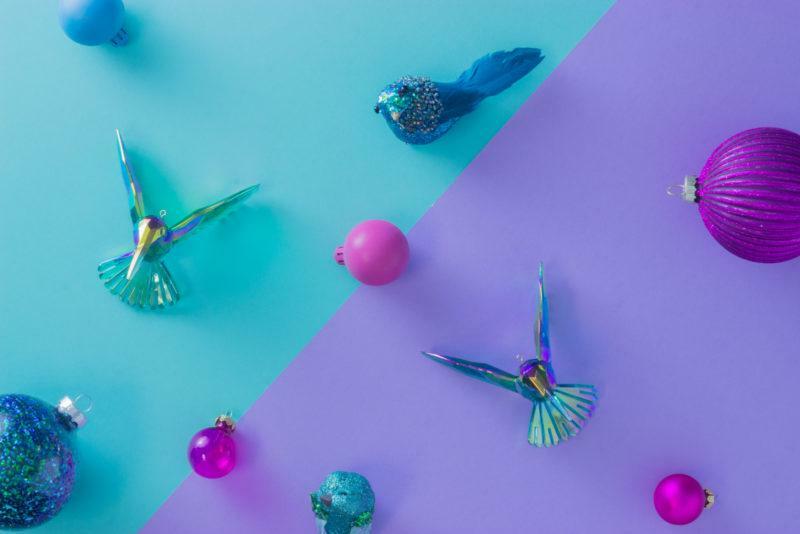 These lovely little birds will make a great addition to your christmas display. Made of polystyrene the body is covered in a thick layer of turquoise glitter beads and sequins, turquoise feather tail , black bead eyes and plastic beak.